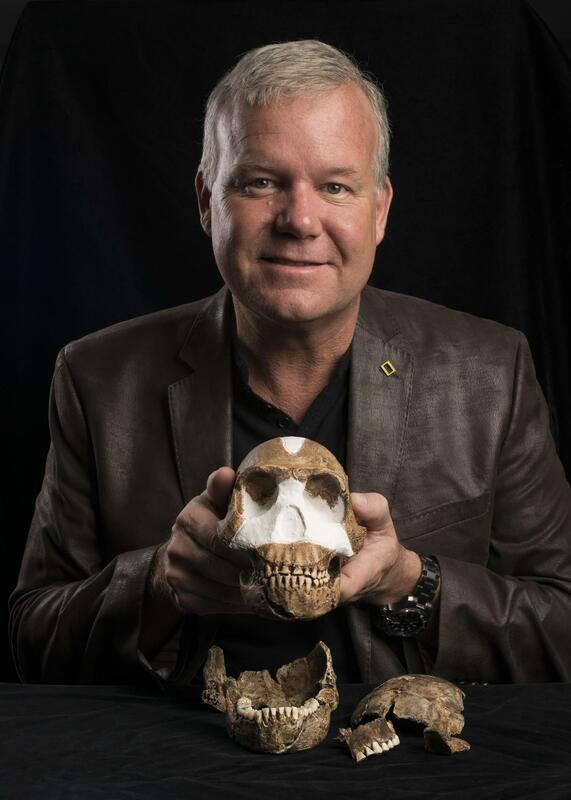 Berger's alliance with the Perot Museum is part of a new strategic focus on human origins called the Center for the Exploration of the Human Journey, for which he will serve as the Center's Distinguished Science Advisor. The Center will focus on supporting, curating and disseminating the dynamic research developed by Berger and his team of more than 160 scientists working around the world. The Museum also will act as a knowledge and expertise communications hub for paleoanthropology, a "gateway science" to all other biological sciences. "Dr. Lee Berger is one of the most innovative names in anthropology today, so this is an enormous win for the Perot Museum of Nature and Science," said Dr. Linda Silver, the Eugene McDermott Chief Executive Officer of the Perot Museum of Nature and Science. "While we have the privilege to affiliate with one of science's most dynamic leaders, the Museum, in turn, will be the key conduit to bring the science of the human journey – its process and the outcomes – to the public." Berger was introduced to Museum leaders by one of its founding donors, Lyda Hill, who has been a long-time supporter of Dr. Berger's groundbreaking work in the field of paleoanthropology. He was the very first National Geographic Explorer to speak at the Perot Museum. Joining Berger in this endeavor will be his colleague, Dr. Becca Peixotto, a research scientist who has been named director of the Center for the Exploration of the Human Journey. Peixotto gained fame as one of six scientists – dubbed the "underground astronauts" – who all happened to be women. They excavated the bones of Homo naledi from a deep cave complex in the Rising Star Cave System, near Johannesburg, South Africa. Piexotto, who completed her Ph.D. in archaeology at American University a year ago, will move to Dallas and serve on a full-time basis at the Museum. She will assume her duties in May. "I'm excited to collaborate with the Perot Museum of Nature and Science and help guide their new Center for the Exploration of the Human Journey," said Berger. "In a few short years, the Perot Museum has demonstrated a quest for excellence and a desire to innovate, which is in sync with my team's goals. The opportunity to share our learnings with visitors and educators, inspire young minds and even create a field school in South Africa is powerful, and I look forward to the partnership." As part of the partnership, Berger will support the Museum's work and initiatives, providing them access to his field sites in South Africa and collaborating on numerous programs that will be launched in the future. These projects include the development of temporary exhibits featuring authentic fossil material and hosted exclusively at the Perot Museum; design of virtual reality and augmented virtual reality experiences that showcase Dr. Berger's field sites (the first pilot of which will be unveiled in the Museum's newly transformed Being Human Hall in mid-May); creation of online access to content for teachers, students and the general public; delivery of teacher professional-development and school programs; and implementation of public education programs including hands-on, in-depth workshops for the Perot Museum's BioLab. Long-term plans include the development and implementation of a field school and museum travel programs to South Africa. "The alliance with Dr. Lee Berger, supporting our strategic focus on centers of excellence, will position the Perot Museum as a global leader in the exploration of what it means to be human. More importantly, our ability to engage audiences on the relevant discoveries and scientific process will no doubt power our mission to inspire the next generation of scientists, thinkers and explorers," said Hernan J.F. Saenz, III, Chairman of the Perot Museum Board of Directors. The Perot Museum of Nature and Science opened in late 2012 and has since welcomed more than 5.5 million people, reached 1.2 million students through field trips and educational programs, engaged 90,000 North Texans through community outreach and awarded $2 million in school financial aid. Designed by 2005 Pritzker Architecture Prize Laureate Thom Mayne and his firm Morphosis Architects, the Museum has been lauded for its artistry and sustainability. It is considered the top cultural attraction in Dallas/Fort Worth and is a Michelin Green Guide three-star destination. For images and photo credits, go to https://bit.ly/2H418RN. Lee R. Berger Ph.D. D.Sc. FRSSAf ASSAf is an award-winning researcher, explorer, author and speaker. He is the recipient of the National Geographic Society's first Prize for Research and Exploration, the Academy of Achievement's Golden Plate Award, and was the 2016 National Geographic Society's Rolex Explorer of the Year. His work has brought him recognition as a Fellow of the Royal Society of South Africa, Royal Geographical Society, Explorers Club and the South African Academy of Sciences and prominent advisory positions including the Chairmanship of the Fulbright Commission of South Africa, the Senior Advisory Board of the Global Young Academy and the Centre of Excellence in PalaeoSciences of South Africa among many others. His explorations into human origins on the African continent, Asia and Micronesia for the past two and a half decades have resulted in many new discoveries, including the discovery of two new species of early human relatives – Australopithecus sediba and Homo naledi. He is the author of more than two hundred scholarly and popular works and his work has been featured three times on the cover of Science and has been named the top 100 science stories of the year by Time, Scientific American and Discover Magazine on numerous occasions. He is Director of both the Malapa site and Rising Star excavations, the latter resulting in the discovery of the largest primitive hominin assemblage in history. He is also the Division Director of Palaeoanthropology in the Evolutionary Studies Institute at the University of the Witwatersrand. He holds a Ph.D. in palaeoanthropology and a Doctor of Science in the same field.